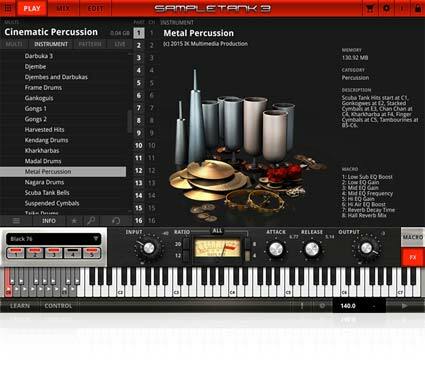 The epic, authentic sounds of blockbuster Hollywood movies is now available for SampleTank 3. 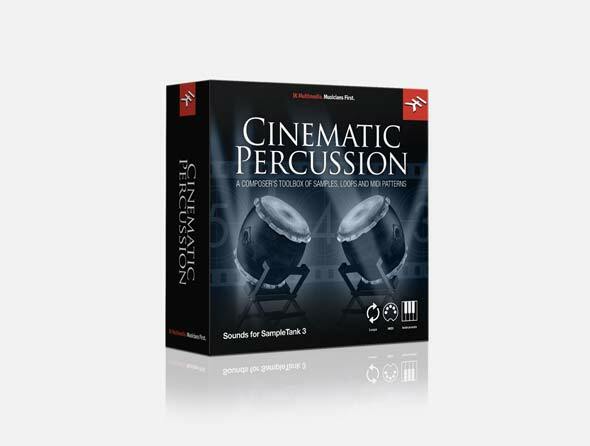 Cinematic Percussion brings you the actual instruments used in “Argo,” the Academy Awards® 2012 Best Picture, “Godzilla” (2014), “Transformers: Age of Extinction,” “Iron Man,” “Watchmen”, “300,” “The Underworld” series, “The Matrix” series, “Dawn of the Dead” (2004) and many more. 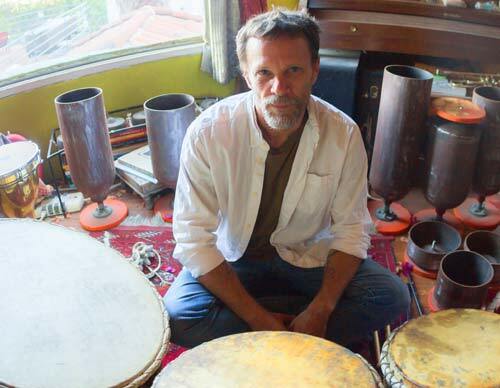 And more than just the sounds, you get original performances by the musician who played on these and over 100 other films: master percussionist, Greg Ellis. 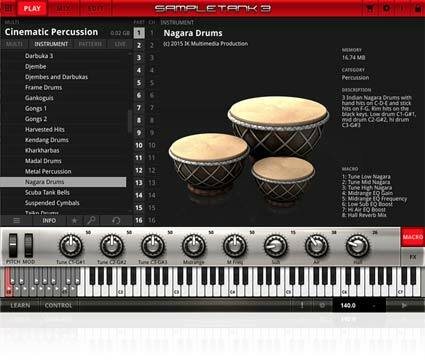 Cinematic Percussion is really a producer’s dream toolbox loaded with a flexible collection of audio loops recorded at 10 different source tempos, a separate collection of MIDI patterns performed by both Greg and the IK sound design team and course a deep treasure chest of playable single-hit instruments recorded in the SampleTank 3 style using multiple velocities and round robin techniques. The library was recorded at Ellis’ private studio in the Hollywood Hills employing his personal, custom instrument collection that contains over 300 drums from the traditional to the esoteric. Only the best microphones and preamps were used to capture these one-of-a-kind instruments not only in super-clean high-fidelity but also to preserve and reproduce each piece’s unique character and personality. Ellis has traveled the world and met with artisans of many cultures to find the most special instruments. “These are NOT the instruments you find in a tourist shop!” Ellis is quick to note. The deep resonance his 38” Javanese Gong reminds one of the lowest “A” note on a priceless concert grand piano. 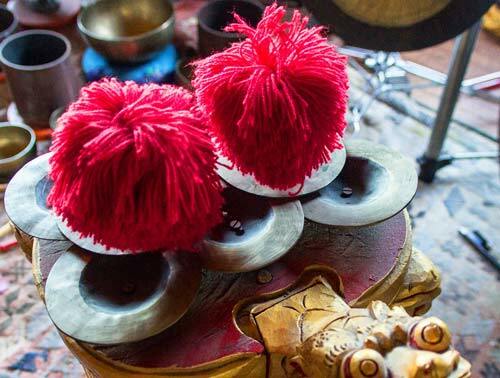 The clarity and complex harmonics of his tuned tank collection along with his finger cymbals, chan chans, gankoguis and kharkharbas is representative of instruments carefully sought out and chosen over decades by a true percussion master with golden ears. 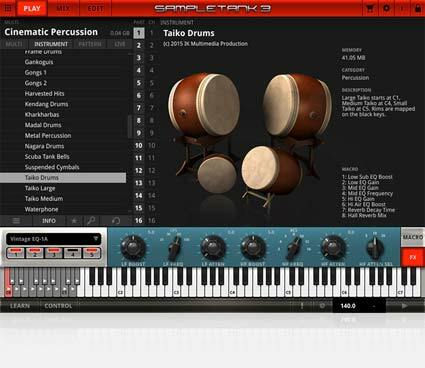 The weight and power of the taiko drum set will stir the soul of anyone looking to energize their music. Add Indian Nagara and Madal drums to Egyptian frame drums to Arabic darboukas and African djembes to create the most vibrant grooves full of color and personality. What makes the Greg Ellis percussion sound unique is his combining of instruments from different parts of the world where he brings together various drums, gongs, metals and shakers based on timbre rather than on geography. 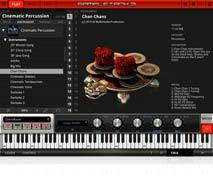 This decidedly non-traditionalist approach is what separates Cinematic Percussion from a typical “ethnic percussion” library. 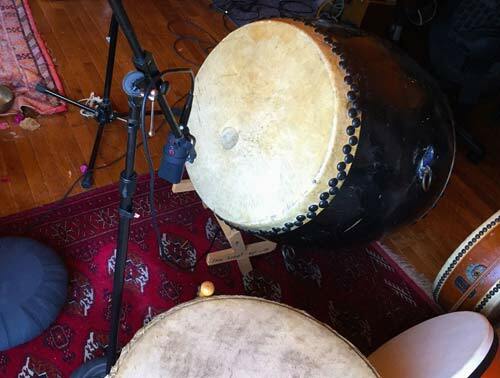 My approach is to orchestrate my drums – and this is why I keep getting called back for more film work – using the frequency range of each drum to fit together like an orchestra. 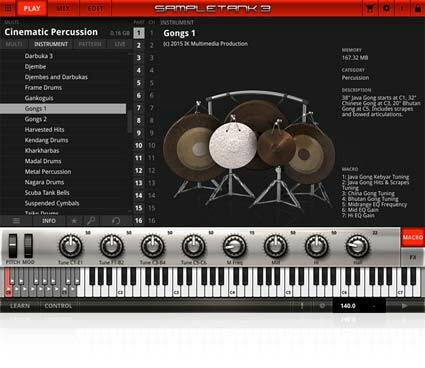 Use this vast collection of instruments, audio loops and MIDI grooves to add some Oscar®-winning depth to your music with Cinematic Percussion for SampleTank 3.